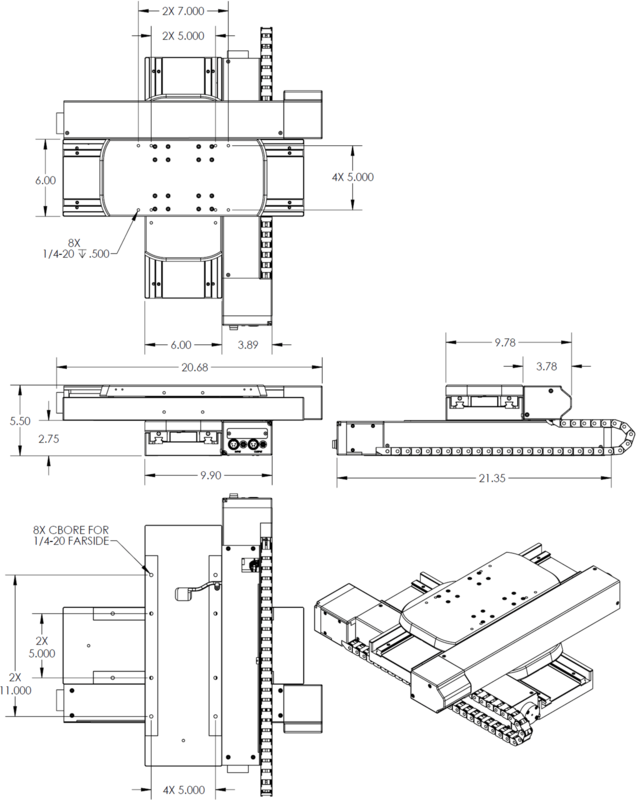 Precision XY OEM Stage | 300mm x 300mm | Reliant Systems, Inc. 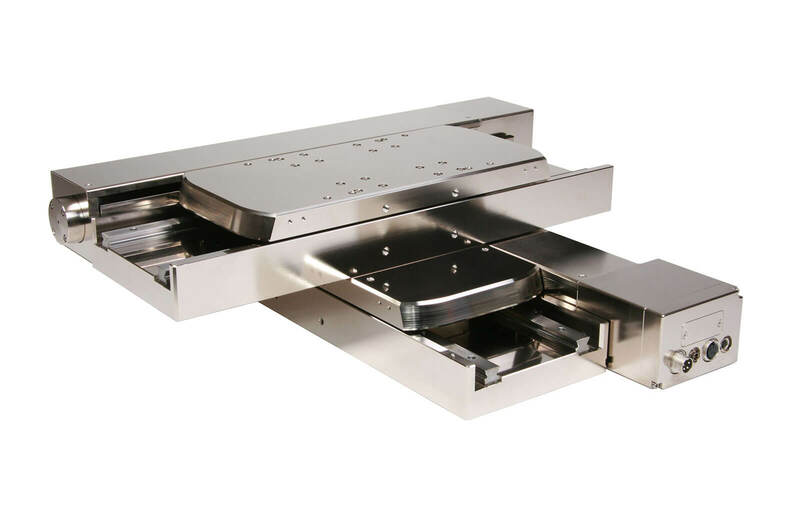 This 300mm x 300mm XY OEM stage is an example of an OEM assembly based on a truck and rail bearing stage core. The design goal was to have a 300mm x 300mm travel stage with the same performance, working envelope, and similar appearance as an existing 200mm x 200mm crossed roller bearing stage. This would allow our customer to address the need for an increase in travel without having to redesign the rest of the instrument. Truck and rail bearings were selected to permit the necessary reduction in the length of the carriages. At the same time, the carriages were made long enough for mounting of the linear scales, eliminating the need for an additional cable loop and preserving the look of the 200mm x 200mm stage. A nickel coating is used to make the assembly safe for ESD sensitive microelectronic components. The two axes are aligned orthogonal to better than ±5 arc-sec. IMS MDrive step motors with integrated controllers simplify system integration, with only power and RS422/485 communication required for closed loop positioning to the 0.5µm resolution linear encoders. A power and communications output are provided on the connector panel for easy addition of an MDrive equipped Z axis stage.